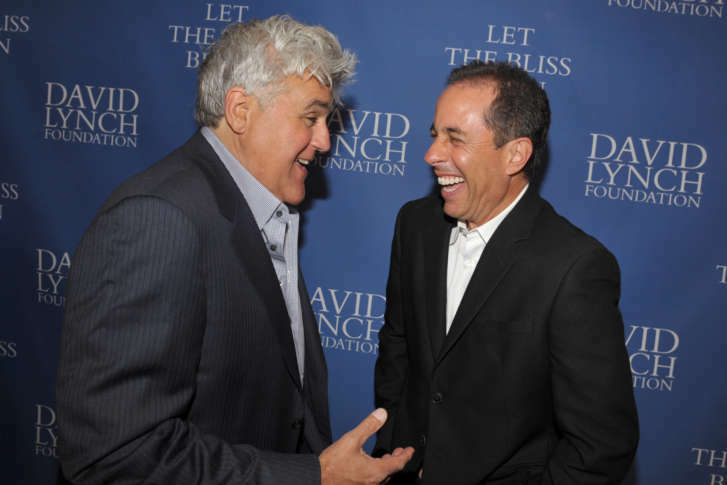 Jerry Seinfeld, Jay Leno, Hugh Jackman and Margaret Cho will perform June 5 to benefit the David Lynch Foundation, which specializes in Transcendental Meditation. WASHINGTON — “Twin Peaks” returns to television on Sunday, but did you ever wonder how its transcendent creator frees his mind to think outside the box? The secret will be revealed as the David Lynch Foundation presents “A Night of Laughter & Song” at the Kennedy Center on Monday, June 5, including Jerry Seinfeld, Hugh Jackman, Jay Leno, Katie Couric, Margaret Cho, Deborra-lee Furness, Ke$ha, Ben Folds, Angelique Kidjo and Sharon Isbin. Proceeds will be used to teach meditation to 10,000 veterans and at-risk youth in the D.C. area. That’s why the foundation is teaching Transcendental Meditation (TM) to provide peace of mind. What exactly does TM look like in practice? Roth says this form of meditation is over 5,000 years old. What are common misconceptions by meditation skeptics? Roth says he first discovered it as a stressed-out college student taking a friend’s recommendation. Turns out, Lynch had also pursued meditation for decades, dreaming up the deep concepts explored in such wonderfully-weird masterpieces as “Blue Velvet” (1986) and “Mulholland Drive” (2001). All the while, Roth was himself training countless celebrities the art of TM, including Oprah Winfrey, Ellen DeGeneres, David Letterman, Jerry Seinfeld, Russell Brand, Katy Perry and Martin Scorsese. Combining their mutual interests, Roth and Lynch co-founded the David Lynch Foundation in 2005, raising money to promote key meditation practices to reduce stress and trauma for those in need.